I couldn’t help but chuckle as I came across this picture tonight in my work to incorporate thousands of new images into the tree. This photo is of Rose Etta White-Walker. Game of Thrones fans will be well acquainted with this term. The rest of you won’t see the humor in this post. While I doubt she was a zombie cannibal, it gave me a laugh that I thought I’d share. I’m certain that she would not be pleased at the newer reference. Rose was the wife of Samuel Walker and the mother of Zerua Walker, who married Henry Babb (1886-1968) of Dixfield, Oxford, Maine. I’ve been heads down the last two weeks trying to update captions for the roughly 10,000 images that will become part of the second edition of my book series. About half of those are new since the first edition and often lack consistency. I get tickled at the information people attach to their photos. Some of the most popular but un-useful captions read “iPhone Photo”, “Android” & “Samsung”. Items downloaded from Facebook contain long cryptic number based captions that form from the file names and you would be amazed at how many pictures of people say something to the tune of “Uncle Bob”. That’s great when the photo stays inside your immediate family. But once it is online no one knows who wrote it and which uncle Bob the person was referring to. Maiden names are mostly left out and Ancestry does a poor job of de-duplicating images. So, it’s a dull mindless task, but one that is necessary to produce the quality product that I hope to bring to you. I’ll be at this for a couple more weeks and then will be able to get at the fun part of pushing out the new volumes. We have learned so much since the early editions and I now have a powerful book rendering tool that makes publishing relatively easy (once all the components are in place). We have solved the Puzzling Mystery of the Eastern Virginia & North Carolina Babbs, having proven their relationship through DNA results. We have established a DNA lineage for the Staffordshire Babbs that needs to be included as well. We have an additional 7,000 people in the tree (having just crossed 30,000 total) and 10,000 new images (having just crossed 20,000 total). Other discoveries are always on the horizon (such as the Barbados Babb Lineage), but in the words of my predecessor Jean A. Sargent, the work will never be completed and at some point you need to stop and publish the results. That day is coming soon! With a variety of new donations we have received through the US Mail we have now raised a total of $8250 towards our goal of $10,000! The matching funds have now been fully consumed! We are in final discussions to purchase the stone needed for the work and should be able to start construction very soon. Thanks to all the people who have donated already. For the rest of you, we still have $1750 left to go. I need your help founding the tree for your branch of the family. I’ve located a number of databases that will aid in the research and pulling together a tree of what is known is the first step needed to know who to DNA test and what results to expect. 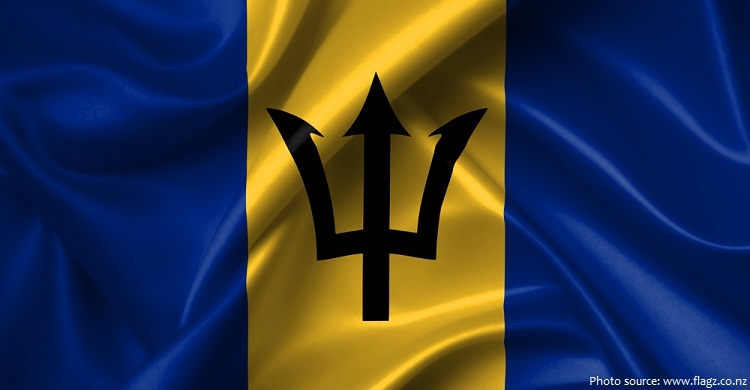 Thanks to Jason, one of our members, we have a record of what I believe is the first Babb to reach Barbados in 1659 as an indentured servant coming from Cornwall, England. We don’t have any further evidence yet to start making connections and this is where you come in. To help me get going on this, I need your help connecting you to the records available online. Once I’m able to find one of your ancestors in the records, I should be able to trace your line back much further. Please follow this link and complete the form on that page. There is no requirement to become a paying member of the association to do this, but we always appreciate that too. If you happen to have your tree online somewhere please send me a link to it. Also if you use any genealogy program, I can accept Family Tree Maker and GEDCOM files.